Nostalgia Factor: The highest possible; this is the quintessential mac daddy. Does Kraft taste like it's made with real cheese? No, not at all—but it doesn't have to. 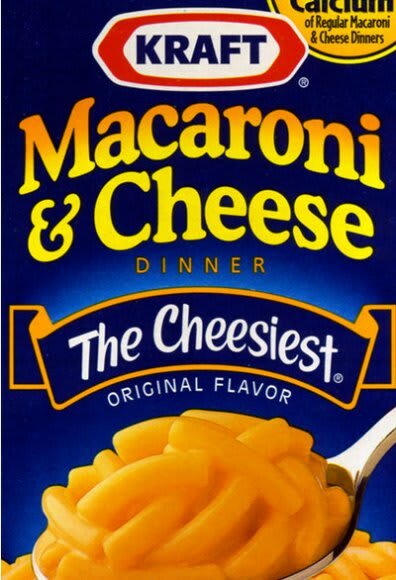 Part of Kraft's specific brand of deliciousness lies in it's strangely addictive artificialness, a semi-sweet cheddar flavor with a slight chemical finish that somehow satisfies like no other can, and probably ever will.